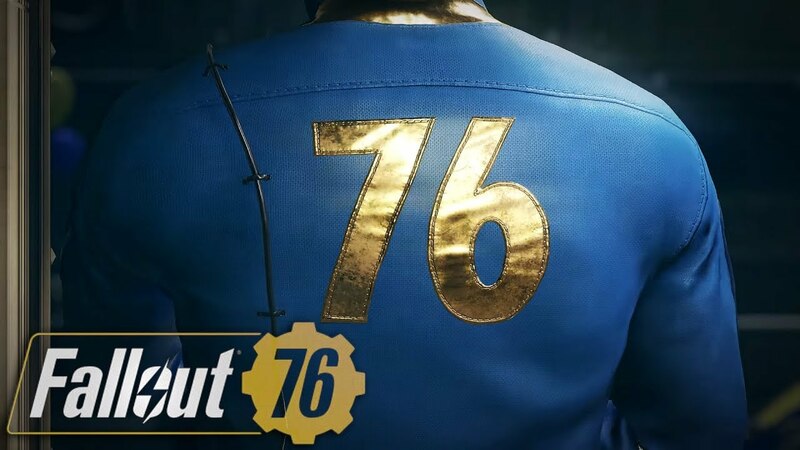 There are plenty of quests you need to complete in Fallout 76, with each quest will automatically be received once you’ve completed the previous one. 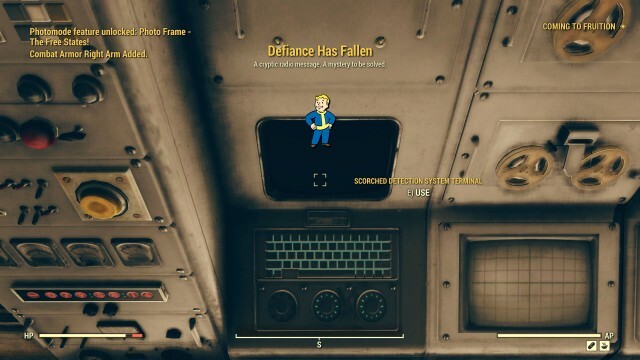 Means, you can’t choose the quest randomly in Fallout 76, instead, you need to complete them on how the game rolls. 1 Photo Frame: The Brotherhood! 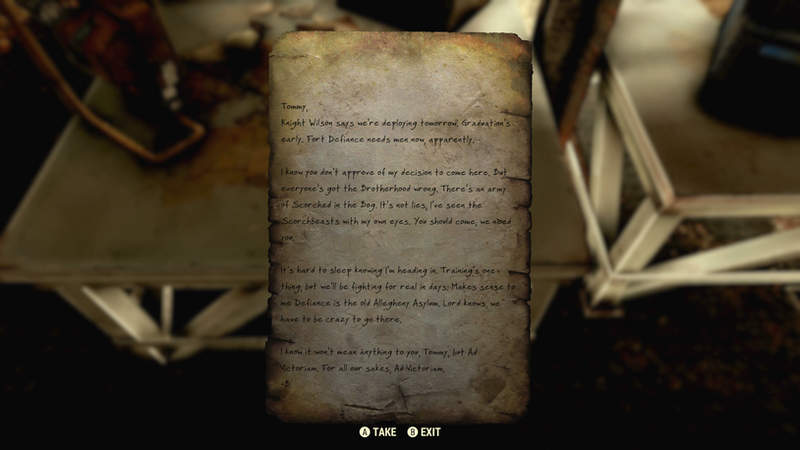 The entry on Abbie’s Terminal talks of a mysterious message from the last of the Brotherhood left in the Appalachian Wasteland. The message according to Abbie mentioned something about Defiance Falling but doesn’t know the meaning behind it. 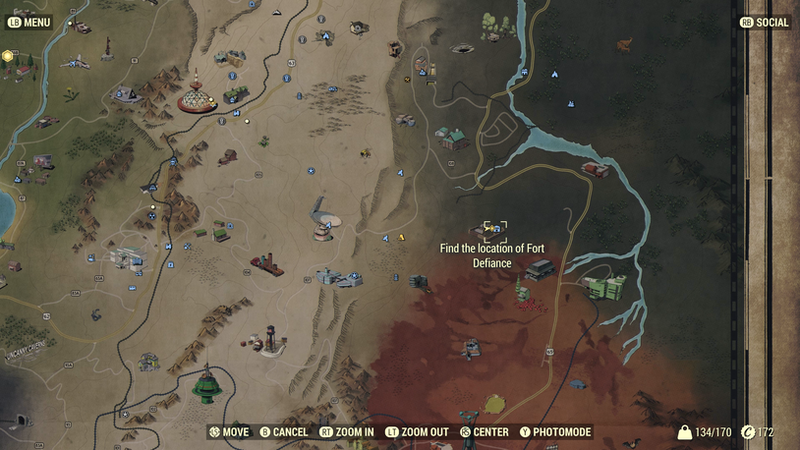 To find the location of Fort Defiance, you will have to head towards Camp Venture. 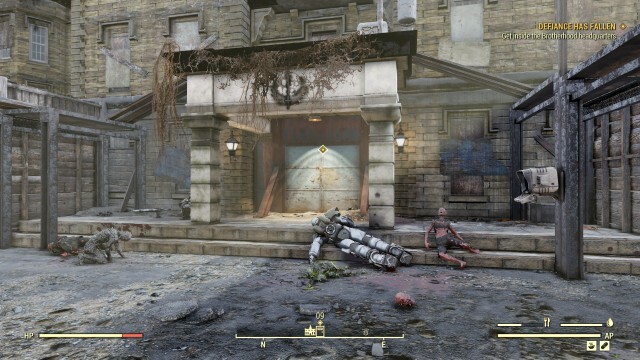 Once you’ve arrived, be ready to fight a horde of high-level Schorched enemies, including Believers, Zealots, and Wanderers, or you may even run into a Feral Ghoul or two. When you feel safe, start to walk into the camp. 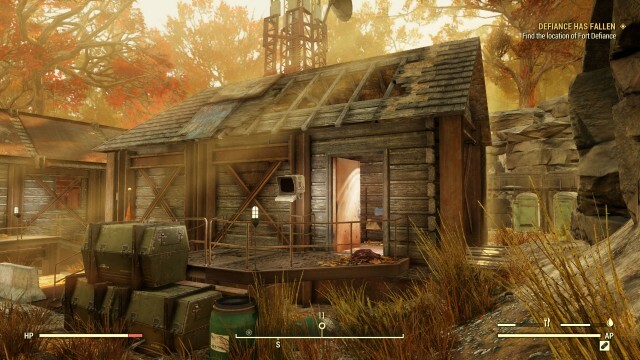 In the west corner of the camp, there is an office behind a locked Skill: 1 Command Center Access Terminal, now hack the terminal to unlock the Camp Venture Offices. Continue inside and you will find an Overseer’s Cache and a Steamer Trunk. 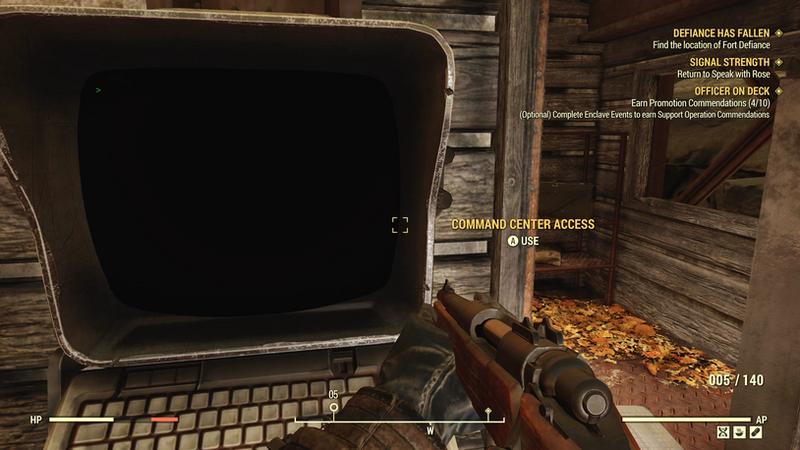 On the table in the center of the room, you will find the Brotherhood of Steel Commander’s Terminal. Access this Terminal to provide more context to the Brotherhoods final days in Appalachia, and next to this terminal there is a note titled “Letter to Tommy”, read it to reveal the Location of Fort Defiance. The letter mentioned that Fort Defiance is located in the Allegheny Asylum, located south on the edge of the Savage Divide and Cranberry Bog. Once you’ve reached the location, enter the Asylum’s building. Try to open the metal door by pressing the red button. 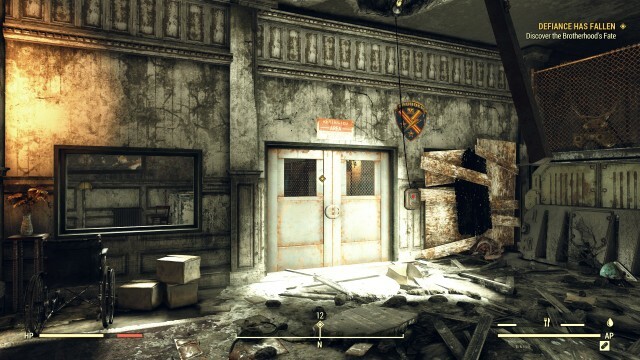 Seems that the Brotherhood of Steel has security doors that are blocking it, and those doors need power. 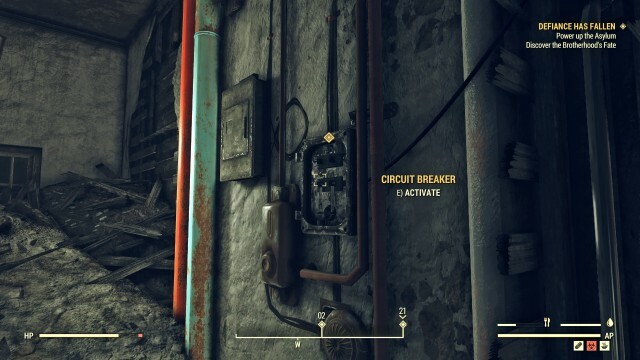 Now you have to go to the top floor of the building and find the Circuit Breaker to power up the Asylum. 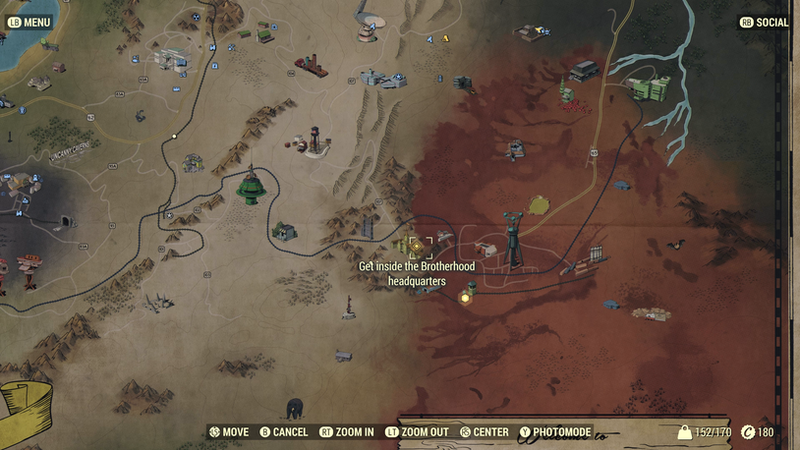 With the power is back on, you can get inside the Brotherhood of Steel’s base. 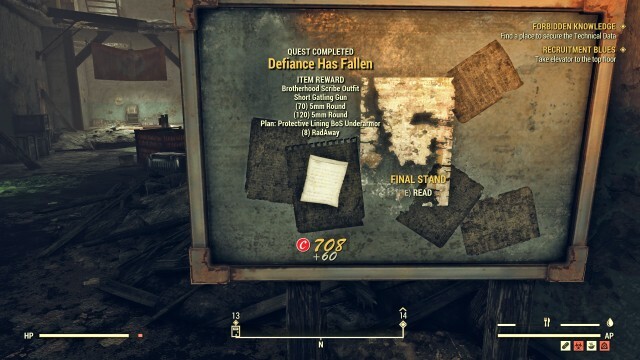 Return to the ground floor, go inside and read the Final Stand which posted on the board, and the quest completed. Now that you’ve completed Defiance Has Fallen quest, you will start your quest to join the ranks of The Brotherhood of Steel, and move on to the next Brotherhood of Steel Quest: Recruitment Blues.